Are Animal Activists unhappy people? 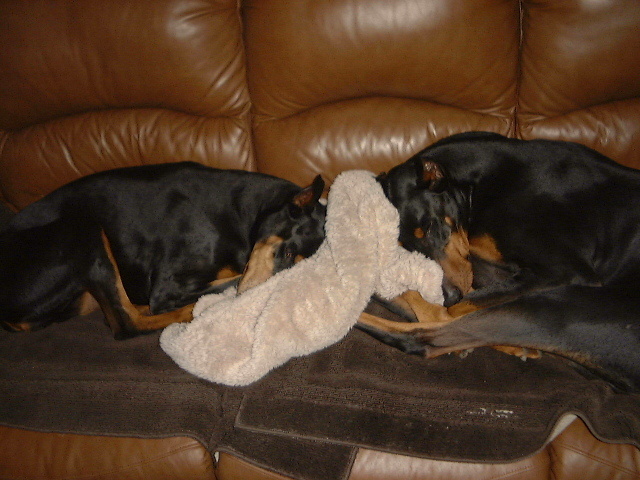 A friend’s Dobermans. Very much alive. What kind of person is an Animal Activist? That question brought to mind an event in my life from the 1980’s, when I was put in a position to judge whether someone was good enough to own a dog. A friend had urged me to join a local Rottweiler rescue group since I was obedience training the friend’s Rottie and I like the breed. The friend also decided that I should be one of the members who would interview prospective owners and place Rottweilers that were either abandoned, abused or unwanted. A meeting was set up between another member and me. We would determine our criteria for choosing the perfect owner and home. Imagine my surprise when a slender, older gentleman drove up in a Lamborghini. He was a good-looking guy, quiet but well spoken, obviously quite rich from what I’d heard through the club grapevine and judging by his car. His presence made me uncomfortable. I assumed he was surrounded by beautiful women and led a full, ambitious life. I didn’t offer to meet him again, nor did he ever call me back. Actually to my friend’s disappointment, neither one of us ever followed through with the job of interviewing potential adoptees. The thought of judging someone bothered me. Who was I? I who lived in a dumpy duplex with two Golden Retrievers and a cat, with a postage stamp size yard in a bad part of town, I who was dirt poor. Who was this rich guy to judge someone as not rich enough, smart enough, or their house and yard not worthy of housing a Rottweiler? Several weeks later I was working at my job at the local Animal Control office when the manager charged into the back room. He smiled and said, “Can you believe it? I just got a call from police dispatch. Some rich guy put his two Dobermans in his car in a closed garage, turned on the car and killed himself and the dogs.” I burst into tears, filled with guilt for not calling the man back, not reaching out and keeping in touch, for assuming he was rich and happy, for assuming he was too arrogant to judge a pet person. Yet there was something about him that when I met him made me uneasy, a sixth sense told me that something was not right. That scenario passes through my mind when I hear about do-gooders (as I call them), the Animal Activists. Are they unhappy people, putting themselves out there for the attention they so direly need, not necessarily animal lovers but needing someone to notice and love them? I wonder if they live miserable lives judging others who may be happier than them. What is their real story behind closed doors? This entry was posted in Dog training and tagged Animal Activists, Dobermans, Rottweilers. Bookmark the permalink.